It is strange to feel like a tourist in a place that has been home, or near home, almost my entire life. But I've spent so much time in Rhode Island lately that when I come into Manhattan I have to maintain the frantic pace of a first time visitor. There is so much to see and do; I've got a folder full of tattered clippings from arts listings. I've been covering miles between museums and shops. Today, there seemed to be so much to taste and savor. All the walking this week has made me hungry. One of my meetings happened to be near Union Square, so I found myself in the middle of the thriving Farmer's Market. It is one of life's small and annoying ironies that there is more--and better--fresh, organic produce in the middle of a big city than at most rural farm stands. In Rhode Island, I'll be lucky to find some Brussels sprouts along with three kinds of squash; in Manhattan there are so many different kinds of vegetables on sale that I don't even recognize many of them. And of course, the market offers its own peculiar brand of street theatre; everyone is haggling, laughing, arguing, pushing, squeezing, pinching, finger-wagging, and generally doing what New Yorkers do so well--acting out. And then the creativity with canning, jams, spreads, and honeys. Even the variety of plants and flowers is mind-boggling. One stand, Phillips Farms, from Milford, New Jersey, was offering huge--"the biggest bunches in the market"--bouquets of eucalyptus branches; their sharp, resinous odor wafted me to California. Another woman was selling beautifully wrapped bouquets of delicate cosmos. One fellow was selling honey made from bees that are gathering nectar from the city's roof gardens and parks; well, who knows where those bees are going. This guy was media savvy. When I approached with my camera, he straightened up and gave me a nice smile. "What are you, a blogger?" he said. "Yes, actually," I said. "Imagine that," he said. "A blogger in New York City." Imagine that, a wiseacre in New York City. Still, he wasn't so media averse--I noticed he had a large sign propped up on his stand telling visitors about an upcoming appearance on Martha Stewart's television show. Imagine that. Around the corner from the farmer's market at Union Square is the kind of place you find only in a large city, a chef's supply store. This one was higgledy piggledy the way they all are, stacks tumbling here and there, and, probably because they have to deal with cross chefs all the time, the staff was cranky and obnoxious, but I took pictures anyway. I love to wander through these shops wishing I were the kind of person who knew what, exactly, to do with an icing sieve, for example. But I do know what to do with a cupcake. The other evening, I had been feeling a bit glum and tired, so a kind friend offered me tea at the Plaza. I got out of my pajamas in a snap--though, I might add, that there seems to be a preponderance of pajama wearers in the streets these days, or perhaps that is part of what we must now think of as a fashion trend. I hopped onto a train, where I spotted one of those Poetry in Motion placards running along the top side of the car. This one happened to be one of my favorites, Dust of Snow, by Robert Frost. Though there were no hemlocks in sight, nor was there any snow in the forecast, the poem itself gave "my heart a change of mood, and saved some part of a day I had rued." How often can you say that about a ride on the B train? The Plaza was everything I had hoped for, even though the service was terrible and the tea was served lukewarm. But the wing chairs had a wholly enveloping shape, there was a soothing amount of gilt on the armchairs, and the entire thing felt like it was nouveau riche in another century and not our own. I could have been at Ben and Jerry's for all I cared about what I was eating. I had not seen my beloved Ottmar's father in many a long month, and we had a nice visit. Then I went upstairs to check on the jewel box of a bookstore, Assouline, and I was delighted to find that our new book has arrived! 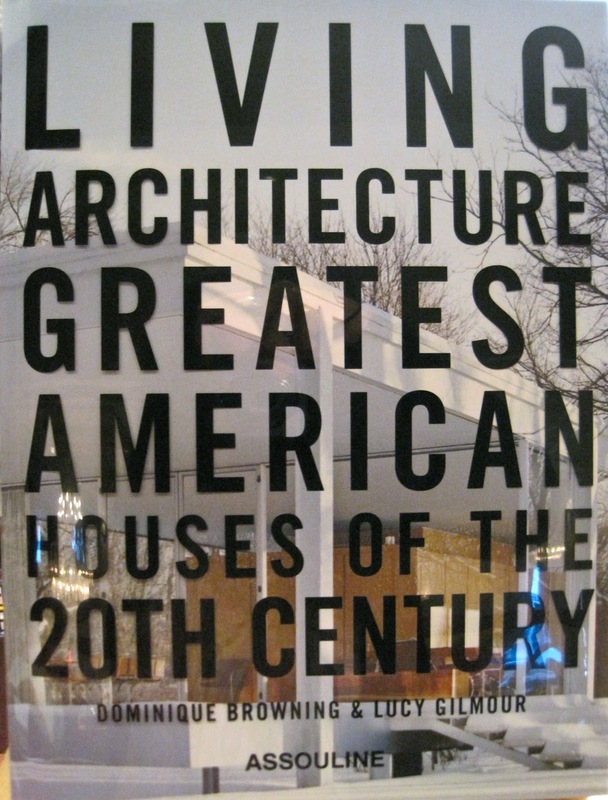 Living Architecture: Greatest American Houses of the Twentieth Century is the result of a project I had commissioned while at House and Garden. It had struck me that so many of us talked about iconic houses such as Fallingwater, or Farnsworth, but we hadn't really seen evocative pictures of them, much less visited them. So our Director of Photography, Lucy Gilmour, and a team of editors under the supervision of Katrine Ames, assigned several photographers to go shoot these houses with a fresh, and creative, eye. The magazine folded before we had time to launch the series. Luckily, Prosper and Martine Assouline had seen many of the shoots, as we had been talking to them about producing a book. And finally, years later, we did it. 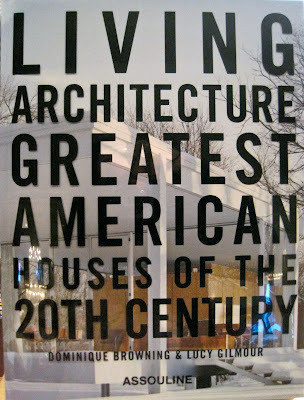 I think my favorite of all the houses we present is Mies van der Rohe's Farnsworth House in Illinois, and I was glad to see that it made the cover. I'm delighted that the painstaking and beautiful work of some of my favorite photographers, and longtime colleagues, will not be consigned to file drawers where no one would ever see it. The tea at the Plaza, subpar though it was in substance, turned me the rest of the way around, as did a walk home through the southern end of Central Park. I am always amazed at how bucolic the place feels. I stopped for a few minutes in front of my favorite waterfall. So what if none of it is "natural"? It is still real, and still transporting. Today I could not stop walking--I had booked so many appointments during my short stay that they were stacked one on top of the other. After I left the farmer's market, I headed to the Upper West Side for yet another meeting. I was early--one always is, if one takes the subway--so I (naturally) found a few more snacks. I was beginning to feel like Winnie the Pooh, sticking a paw into every tree I could to see if I could find some more honey, knowing that I would soon be worrying about stoutness exercises. I note that while I may admire vegetables, I actually devour desserts. But how to resist GROM, a gelato place at Broadway and 76th Street? I have never tasted such smooth, rich, delicious stuff, and I am not too embarrassed to confess that I went back for seconds. I can report that the Bacio flavor, dark chocolate with chunks of hazlenut, has real staying power. As in, it is staying on my waist. And so is the pistachio ice cream. GROM now delivers, but you definitely do not want to avail yourself of this new program. Everyone knows that ice cream makes you terribly thirsty. Fortunately, up a block or so on Broadway is a lovely new tea store, Tea Gschwendner, here from Germany. This place takes tea very, very seriously, but it also goes in for the new trend of adding exotic or simply weird spices to teas. I tend to be a minimalist when it comes to tea; I like mine white, or green, or black--and they do sell straight tea. Once in a while, I'm up for Hu Kwa, especially in the fall with a crisp green apple. Still, it is nice to see a tea shop in the neighborhood. It is nice to see anything new in the neighborhood; I'm struck by how many empty, boarded up shops there are all over town. What with all the snacking and dabbling I was nearly late for my evening appointment, but I wasn't so rushed that I couldn't stop for a moment to ogle the X-rays of someone's...what? chest? back?...that I could see through the blinds of a ground floor doctor's office. I paused for a moment to think about how sorry I was that I had never gone to medical school. (I'm also very sorry that I didn't learn how to conduct an orchestra.) 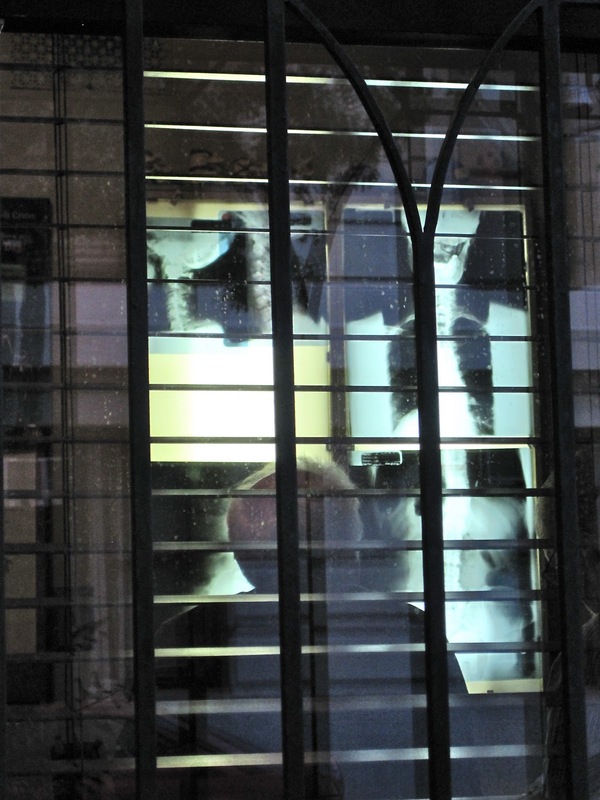 And I also thought about how magical the gloaming is in NYC--that time of day when lights are still on inside, but people haven't thought to draw the curtains or pull down the shades. I love to prowl up and down the side streets where the brownstones are so that I can look into the grand rooms and admire paintings and chandeliers and who knows what all else. Next time I am in the city I think I'll take a series of pictures of evening life indoors, as seen from the street. Meetings done for the day, I slipped past another favorite place, the Hayden Planetarium of the Museum of Natural History, said goodnight to the moon and whatever else is glowing in there, and walked briskly, stoutly, determinedly, home. And so, to bed. I offer the diary of this day to those of you who cannot be in New York for a while, so that you might have a taste of it--and to those who do live here, that you might be reminded to get out and enjoy life in the city. I wish I had been more of a tourist when I was actually working here; I ought to have taken frequent breaks to visit museums, or simply walk the streets. Now I know that you have to make appointments with your city--and with your soul. We have to give ourselves permission to refresh--take a break, and feed our heads. Most of my friends who live here miss pretty much every important exhibit; they all note the event, tell themselves there is plenty of time, and before they know it, the show is closed. Guess what? There is never plenty of time, and we should all make a point of being tourists in our own neighborhoods. We have to learn to appreciate what we've got--before it is gone! A glorious post for the day. As a woman who has grown up in this city, lived, worked and, occasionally, "died" here, I share your appreciation of it. It is my home and I love it with a passion that overwhelms me. I am a frequent visitor to all the places you visited today (except Grom for the obvious reason) but I appreciated them even more when sharing them with you. Tomorrow I will take some time from my work and wander even if it's just to the park. Thank you for the blog, the books and the sane voice. Indeed, you make NY look like a "never seen before place". awesome!! What a wonderfully delightful trip to NYC; from the farmers' market to tea at the Plaza, pure bliss. Tiring bliss, but, bliss just the same and a great reminder to seize the day and grab onto the opportunities that abound. Thank you. what a lovely 'point of view'. You have bought another dimension to NYC. Brilliant. Iris. What a marvelous, evocative (yes, I know I chronically use that adjecive in describing your writing) posting.....thank you. I was particularly pleased to read your remarks about the photographers & writers involved with this new book. Your comment about being glad that their work wasn't consigned to some "We OWN the rights to this work, even if we never use it" file as a result of H&G's closing was particularly generous and un-selfserving of you. I read those comments and thought "What a lovely person...I bet a lot of them are equally loyal to her.". Wow, that was a lovely tour of NYC! I felt like I was walking with you. I've only been there once, years ago, and it was a quick business trip, so it's all new to me. I never would have thought that such a busy city had so many cozy, rich, welcoming looking venues. Thank you! We were in New York City last year at exactly this time for our anniversary. So incredible. Thanks for sharing. Gosh, girl, you sure can write. So true what you said about taking the city for granted...I lived there 8 years and always thought I'd 'get around to it' about so many things that I never got around to doing/seeing. Still love to visit...and am thankful for one upcoming! The city is magical. 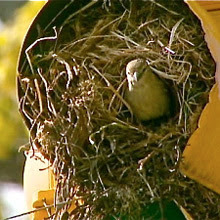 Thanks for the prelude to New York, where we will be visiting our son next week. I can't wait to go....and be in the hustle and bustle for a few days. My new favorite spot is the HighLine...the raised garden/park/walkway in or around the meatpacking/Chelsea areas. It is a gift to New Yorkers and visitors. Its exquisite! Plus, can't help it, but love to go to Pastis, or Buddha Bar or SPice Market for nibbles and drinks. Thanks for reminding me to be in the moment to experience the possibilities that arise from simply being engaged in the day. What a wonderful New York Day--I think I'm experiencing a wee bit of envy. Thank you for this grand tour. I have never been to New York. My daughter arrived there this morning to spend time with my granddaughtr who is attending Manhattan School of Music. Another granddaughter who just graduated from college is working for Marsh. I am emailing this to my granddaughter's in case they want to visit some of your wonderful places. What wonderful, experiential photos and writing! I am a former magazine editor too, blogging about life and nature where I live in Santa Fe, NM, and your site is an inspiration. We have a Santa Fe Farmers' Market with local lavender honey from Artemisia in Dixon, NM, and the last cosmos and sunflowers of the season blooming here too...but no wiseguy salesman. I was in NY for the first time in May of this year. I thought I loved San Francisco and Paris as my favorite cities until I experienced NY! Each of my experiences there were so uniquely defined. Reading your story makes my heart pang to get back there SOON. I've just signed a lease on a pied-a-terre in Brooklyn, my longtime home -- ambivalently, since I have enjoyed living exclusively in the country these past 1-1/2 years. Your post helps me feel less ambivalent and more enthusiastic, and reminds me to actually get to those fabulous museum shows and not just vow to. This is one of your very best posts. Perhaps because it is in story form... I loved revisiting NYC but rather disturbed about the boarded up stores. Last time I was there, oh dear, a generation ago, the places was buzzing and not stores were closed, but there were over 30,000 homeless on the streets and men in business suits asked for money. Thanks for this and keep on the direction you are headed, Dominique. I'll keep following you. Wow - a whirlwind of a day! I'm vicariously exhausted - but satisfied! And all so "true" - from the media savvy farmer's market purveyor to the evening's peek into unshielded windows (this used to be one of my favorite activities). So much to do and see - makes me want to plan a day. Thanks so much for this wonderful post. I miss NYC so much. When my daughter was at NYU, I visited often. Besides the evocative (thank you David Terry) writing, I love how you take even challenging moments (bad service, weak tea) and find something special. We could all do the same wherever we go. I spend time at Union Square Farmer's Market, and cannot for the life of me place the chef supply store from the photo alone. Is it Bowery Kitchen Supply? I'd appreciate knowing, as I would like to find a proper kitchen supply and not have to go to one that is home to Food Network. To the first annon poster--my roommate/best friend, is a graduate of the Manhattan School of Music. I know the calibre of talent you must display to be accepted there. Congratulations to your granddaughter. A lovely post, and welcome back to our fair city. Here's a funny synchrocitic New York-y/small-world large-world blogging connection -- I found you through a link on Blue Girl's site (Ohio) and happen to work on a certain television show (NYC), and so now will keep an eye out for the guy with the honey. Congrats on your book(s)! This post is an excellent example of enjoying one's environs slowly, even in the midst of a whirlwind book tour. Lovely post--I so enjoy your writing. I don't know how far you live from Providence (heck...it's RI so it can't be too far), but there are some really wonderful Farmer's Markets there. The Saturday market on Hope St is my favorite (www.farmfresh.org/food/farmersmarkets_details.php?market=11), and there is a winter market in Pawtucket. Thanks! I used to live in NYC, and miss some of it. The Union square market is way up on that list. But let me tell you ... buying plants, fresh veggies, goodies [every so often], and then having to carry it all home ... subway rides were not pleasant. Suburb living makes for easy transport (car), NY requires a very different mindset. I "discovered" your writing in the first issue (or reissue) of H&G all those years ago - I have checked back occasionally and read your books - I must have bookmarked this page after reading Slow Love, although I don't remember doing so. Today, I was up early before the family and wanted to do something peaceful before the kids came thundering down and the day spiraled away - I found the bookmark... reading your blog was an enjoyable and peaceful way to spend my first hour of the day. Thank You. Thank you for reminding me why I moved back to New York. Lately I feel like all I do is go back and forth on the subway between home and work...with this crisp fall weather and your inspirational post, I will definitely get myself out into the city more! Dominique I thoroughly enjoyed reading this post about NYC. Your way with words (I made copies of your 'Taking In Strays" editorial to hand out at a Women Rock! party a few years back!) is inspirational and I am happy to have found this blog. I grew up in RI and now take in that state as a tourist...interesting way to look at it at this stage in my life now that I life in MA. Writing my blog and reading blogs such as yours make life good. 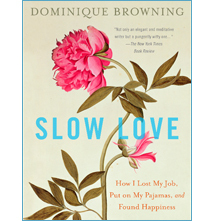 I have added Slow Love Life to my blogroll to inspire others to find it and read it. Thank you, and have a restful weekend. I'm glad to find that we both agree that Ms. Browning's writing is "evocative". It seems bring out&forth all sorts of unexpectedly good things in both her and readers. That's a very rare quality. I've noticed, over the years, that Ms. Browning doesn't in the least pose as a doyenne-of-taste and/or style. She is, afer all, the woman who admitted upfront to having plastic lawn-furniture...and to being fairly appalled when it turned out (after she'd been appointed as editor of H&G) that folks were sneaking up her driveway to SEE what she had in her own backyard. In any case....Ms. Browning seems to fall quite naturally into the habit of encouraging, rather than instructing. There's a good reason Browning's been a good editor.... and I expect she'd make a very fine elementary school teacher (let me emphasize that I mean that as a very high compliment...not many people are at-all-good at that job). It's gratifying (sorry....but I'm a fan) to see Ms. Browning's success with the new book and this blog. Encourage your son to teach at that level. He can always leave the field (unfortunately, all-too-many of the best ones do, after a few years). I wouldn't be the first to have thought that this country might do itself a favor by having a few more female CEO's and few more males teaching in elementary schools. As far as I'm concerned, both positions are equally important. I taught for years (boarding skoolz and, later, at Duke)...and I'll be the first to admit that I never taught "lower" than high-skool...simply because it seems too daunting to me. Like you, I don't necessarily count patience among my particular virtues. As things stand (and you might have noticed) I spend a lot of my time waitig for paint to dry (quite literally) and filling up other folks' blogs with predictably self-involved, marginally relevant, and generally long-winded "responses". Where does one go on this wide-wide-webworld to start a "blog"? And, yes....I realize that I've just given you your first assignment as an elementary-skool teacher......that's just how ignorant I am concerning this matter. ......a prissy person ('nuff said?) was here last night with some other people and, seeing a print of Wyeth's rather famous picture of his dog on that big, bare bed, said "Oh...that's a PRINT! I can't believe someone who calls himself an 'artist' would have PRINTS!!!!" I told him that, over the years, I've made a very particular point of referring to myself as nothing more than an illustrator and, in any case, I didn't happen to just have the 750,000$-or-so I'd need to buy the original. Well, any advice anyone can give me on how-to-start-a-blog would be appreciated. i'm a new yorker out of the US waiting in limbo for a work visa... thank you for your post! i'm so moved by the dedication. i live right by grom on carmine street. [url=http://www.iystwowgold.com]wow gold[/url], They are good and haven't found a negative matter about games gold. My spouse and i completely advise the mini's! You could bring these people about a single thing know what's even better is that if one give you dockers and also trousers on the mini's you should not perhaps inform your making [url=http://www.hahawowgold.com]buy wow gold[/url]...they don't really build pants size out! LOVE Such games gold! I actually carry all of these books the right time! These types of games gold are incredibly pleasant, and easy to search inside. They made my 20 per hour flight because of South korea that will United states of america far more pleasant! They're going together with any wardrobe, and are usually super easy to have don and doff. I find myself for example I should have saunter long distances in these [url=http://www.iystwowgold.com#wowgold]wow gold[/url] and they would certainly around ideal good condition not to mention the tip toes would not be inside of a a lot of open discomfort. i got a fabulous specifications Half a dozen . 5 nonetheless games gold sense that some sort of size Half-dozen along with im some reasoning better however on the contrary it looks like in that respect there absoluetlY Amaze!!! Vraiment tr¨¨s admirablement. Je suis extr¨¨mement satisfait du games gold. Bizarre grand Indulgence ! This ex-boyfriend paid for everybody two frames yesterday morning, when i really enjoy them all a huge amount of, they have ordering us a fresh one. 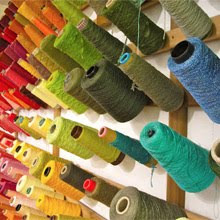 Relating to typically the bailey tab for yellow sand, the actual typical mini on chestnut, and i am gonna develop the memorable simple with place green, and simply cannot hold on!! I bring a fabulous specifications Five and in addition they suit completely, whilst your mini's really are a Some along with a tiny area doesn't hurt both. Now i am truly concered about yellowing these folks, especially the stone dust ones, bc i really dressed in my little black dress chestnut your out on a date using the dog during the putting storm and are generally not only very soft any further, thus positively advise purchasing sealer for example My organization is and also my favorite completely new usa azure people! That i get these for tiny denims, tights, nylons, and also shorts along with skirts. They're which means that simple. We have already a great number of various [url=http://www.d3boy.com/]d3 gold[/url], My partner and i by no means gained about to getting any kind of, simply because I didn't look after the take a look at 1st, but are soo of great benefit notably simply couldn't come out of my very own wallet. ;) Between my favorite soon-to-be about three couples, I am going to in all probability for no reason convey some of my various other 30 [url=http://www.d3boy.com/]d3 gold[/url] all over again, given that none come close in to the privacy, fashionth, as well as availableness regarding this innovative games gold. Adult females, get a guy to acquire merely two or perhaps several and you are therefore set for the wintertime...and year long, as an example.